What’s your TOP recommendation for a woman’s supplement? My guess is that most of us would answer with “prenatal vitamins” or “daily vitamins”. Maybe you’d respond to that question with something different, such as “probiotics” or a favorite herbal tincture. And those are good answers! My number one recommended supplement for women is coconut oil. The same stuff a lot of you probably use in your kitchen: organic, extra virgin, cold pressed coconut oil, like this. 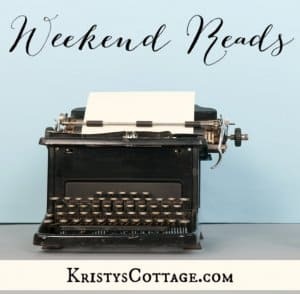 Many moons ago, I shared a few of my favorite uses for coconut oil, including everything from a healthy baking oil to a leave-in hair conditioner. But did you know that coconut oil is a powerful supplement, as well? In fact, organic, virgin coconut oil is actually a natural antibiotic, a powerful antifungal, and an amazing tonic for hair and skin! Our naturopathic doctor recommends two to three tablespoons of organic coconut oil as a daily dose for an adult (less for a child). I’ve taken coconut oil directly off a spoon, but the oily texture is hard for me to get down. I prefer to melt a tablespoon or two into a cup of hot tea, or blend it in a smoothie. I gleaned the following information from the book, Virgin Coconut Oil: How it Has Changed People’s Lives, and How it Can Change Yours! 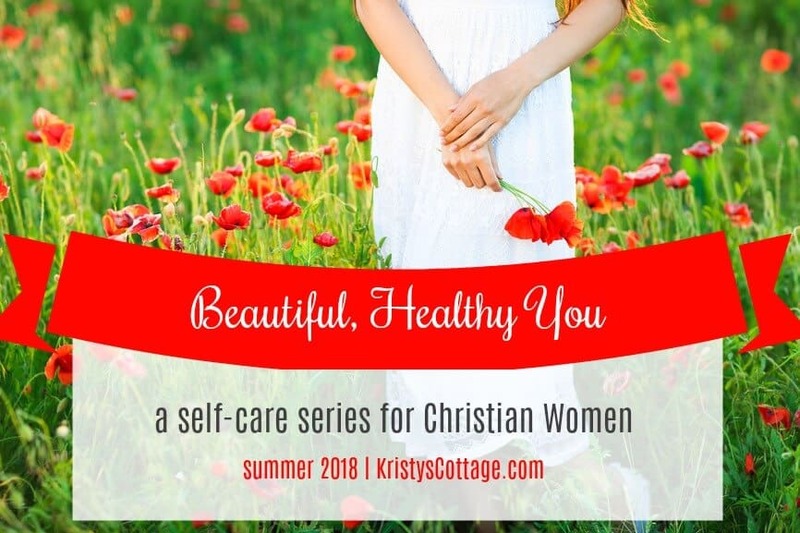 This post is a feature in our summer-long Beautiful, Healthy You series. 1. Coconut oil can raise the body’s metabolism and enable weight loss. Can we all say, Hallelujah?! The majority of Americans have fallen for the “low fat” diet fad, but scientific research begs to differ. The truth is, when we starve the body of good fats (and coconut oil is a good fat), we inhibit the body’s ability to absorb key vitamins (like A, D, E and K), maintain a proper metabolic balance, and use up fat instead of storing it. Polyunsaturated fats (like vegetable oils and margarine) actually promote weight gain. I don’t know about you, but I’m not interested in my body storing fat! Coconut oil is nature’s richest source of medium chain fatty acids/triglycerides (also known as MCTs). Researchers have discovered that MCTs are used by the body for energy and burn up quickly (think, bye-bye calories and fat), unlike the polyunsaturated fats that are stored by the body. Research points to the fact the regular consumption of virgin coconut oil can reduce food cravings, boost energy levels, and help trim abdominal fat. Anyone want to try a tablespoon right now? 2. Coconut oil can enrich breast milk. Maybe you’re one of those mamas who can pump til the cows come home, but I tend to need a little boost in the milk-making department. My babies tend to be a little on the petite side, so this came as good news to me! The MCTs (remember those medium chain fatty acids, the good fats?) found in coconut oil are similar to fats found in breast milk, and have similar nutriceutical effects. Consumption of virgin coconut oil can enrich breast milk by boosting its fat, or lipid, content. Health improvements for nursing babies can include improved weight gain in low weight babies, increased brain development, and better immunity, just to name a few! 3. Coconut oil is a powerful natural antiobiotic. Today, many strains of bacteria are becoming resistant to antibiotics, and antibiotics are generally ineffective in treating viral infections. The good news is, the antiviral, antibacterial and antifungal properties of MCTs found in coconut oil are super powerful against sickness and infection (researchers have known this since the 1960s). Outside of a human mother’s breast milk, coconut oil is nature’s most abundant source of lauric acid and MCTs. When lauric acid is consumed in the diet, it forms a monoglyceride called monolaurin, which has been shown to destroy bacteria, fungi, and viruses. Our family has personally used organic, virgin coconut oil as a natural antibiotic with good results. 4. Coconut oil has a substantial effect on blood sugar levels. This is great news if you struggle with hypoglycemia or diabetes! Coconut oil helps control blood sugar and improves the secretion of insulin. It also promotes the effective utilization of blood glucose, thereby preventing and/or treating diabetes. For some, coconut oil seems to have a direct effect on blood sugar levels. Others may experience a reduced craving of foods that spike blood sugar levels. Either way, reports are in favor of coconut oil as a big blessing to folks with blood sugar issues. Studies carried out in nations like India and the South Pacific Islands (where virgin coconut oil is traditionally consumed in high quantities) have shown an increased rate of diabetes (and other western diseases) when highly processed, polyunsaturated vegetable oils become common place in the diet. Let’s stick with coconut oil, shall we? Yeast infections are a big issue for a lot of women in the Western world. Our diet plays a huge roll in the Candida problem, and our diet can also play the leading roll in the cure and prevention of Candida problems. Again, research is on the side of coconut oil! Studies show that the medium chain fatty acids (MTCs) in coconut oil (namely, caprylic acid, capric acid and lauric acid) all work together to kill Candida albicans (the nasty bacteria that causes yeast infections). Slowly work up to at least 3.5 tablespoons of organic, virgin coconut oil per day. Add fermented foods into your diet (think kefir, kombucha, homemade yogurt, etc). Eliminate sugar and simple carbs (while breads, pastas, etc) as much as possible. Once your system is used to the coconut oil, begin the 15-day Fungal Defense supplement from Garden of Life. Follow up with Primal Defense supplementation at maximum dosage for at least six months. I’ve personally battled Candida in a major way, and I testify to the fact that coconut oil is a powerful weapon against yeast. Check out Megan’s guest post, My Story in Overcoming Candida Naturally. 6. Coconut oil can help prevent osteoporosis. Osteoporosis is a disease of the bones, and women are four times more likely to get it than men. In fact, the National Osteoporosis Foundation (NOF) estimates as many as eight million women in the United States have osteoporosis. Factors like pregnancy, aging, calcium deficiency and a family history of osteoporosis increase the risk of the disease. 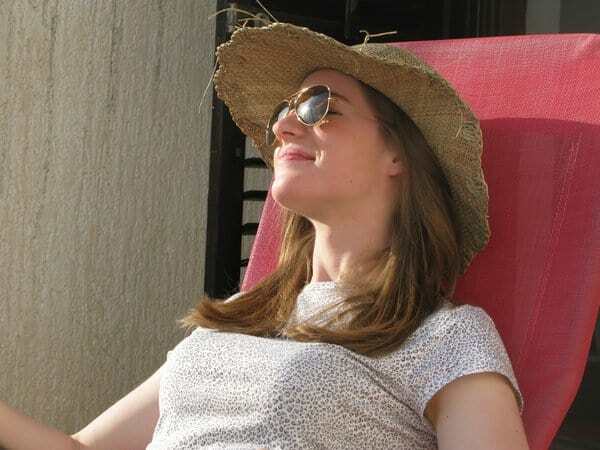 Recommended preventatives include sufficient calcium intake (organic dairy and herbal calcium are two great resources), getting enough Vitamin D (sunshine! ), a healthy diet and an active lifestyle. So how can coconut oil help prevent osteoporosis? Coconut oil improves the ability of our body to absorb important minerals, such as calcium and magnesium, which are necessary for the development of bones. 7. Coconut oil is great for your hair! In India, coconut oil is used primarily as a hair conditioner. Studies in that country compared the effectiveness of various oils on treating damaged hair. The findings indicated that coconut oil reduced the protein loss in hair when it was used as grooming product. In contrast, neither sunflower oil nor mineral oils helped retain proteins vital to hair health. And FYI, I use coconut oil as a leave-in conditioner for my hair several times a week. I simply apply a dab of coconut oil to my freshly washed, towel-dried hair, work it into the length of my hair with my finger tips, and let it air dry. It’s great for nourishing dry hair and defining waves or curls. 8. Coconut oil aids digestion and can help heal the gut. This is more good news, especially if you suffer with digestive ailments (I sure do!). It is estimated that about 95 million Americans suffer from some kind of digestive disorder. Adding virgin coconut oil to your diet can go a long way in relieving digestive disorders such as Chrohn’s Disease, Irritable Bowel Syndrome, gastritis, constipation, etc. As I’ve already stated, coconut oil is rich in medium chain fatty acids (MCTs). MCTs are easily absorbed by the body, and they aid the absorption of other nutrients, as well. Longer chain fatty acids, such as those found in polyunsaturated oils (corn, soy, and other vegetable oils) increase inflammation in the gut, and should be avoided by those suffering with digestive issues. 9. Coconut oil can support thyroid health. Research suggests that as many as 13 million Americans suffer with an undiagnosed thyroid problem! That statistic grabbed my attention, since thyroid issues run in my family. Our American diet is rife with thyroid inhibitors, such as soy products and polyunsaturated oils. One of the reasons the long chain fatty acids in vegetable oils are so damaging to the thyroid is that they oxidize quickly and become rancid. Coconut oil, on the other hand, is a saturated fat made up primarily of medium chain fatty acids (MCTs). These MCTs are known to increase metabolism, aide weight loss, and raise basal body temperatures. Coconut oil does not require the enzyme stress that vegetable oils do, it doesn’t prevent the T4 to T3 conversion. Chapter six of Virgin Coconut Oil is a fascinating read and goes into the why’s and wherefore’s of how coconut oil so readily supports thyroid health. 10. Coconut oil can help preserve and protect your skin! I’m extremely fair-skilled and burn super easily in the sun, so I was very interested to read that coconut oil can help out with preventing and healing sun burn. Coconut oil has wonderful antioxidant properties that protect the skin from free radical damage. When it is consumed and used topically on our skin, it helps our bodies absorb other nutrients more effectively as well, such as vitamin E (another powerful antioxidant that protects the skin). Last weekend, I spent most of the morning working with my daughter in our garden and I ended up with a terrible sun burn on my arms. Instead of using my go to product for sun burn (aloe vera), I applied organic coconut oil to the burn every few hours. Within 24 hours, the redness was gone and the skin never blistered or peeled! So how can I eat more coconut oil? 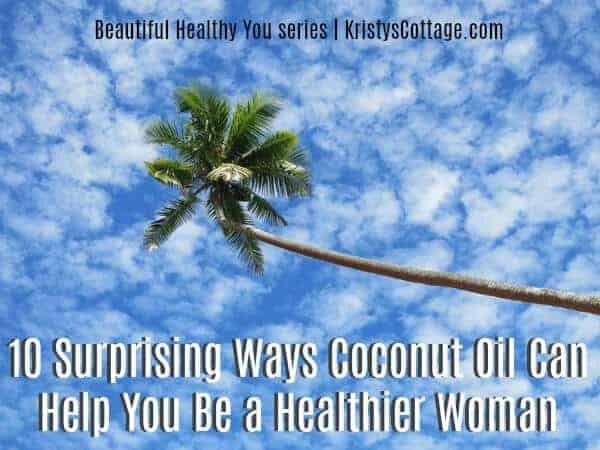 After researching and writing this post, I am greatly inspired to increase my intake of coconut oil! I personally use and love Skinny & Co Coconut Oil. I use their organic, extra virgin coconut oil as a daily face moisturizer, and their amazing peppermint-infused coconut oil for oil pulling! I haven’t even addressed the topic of oil pulling here on the blog… I’ll be writing all about that soon! 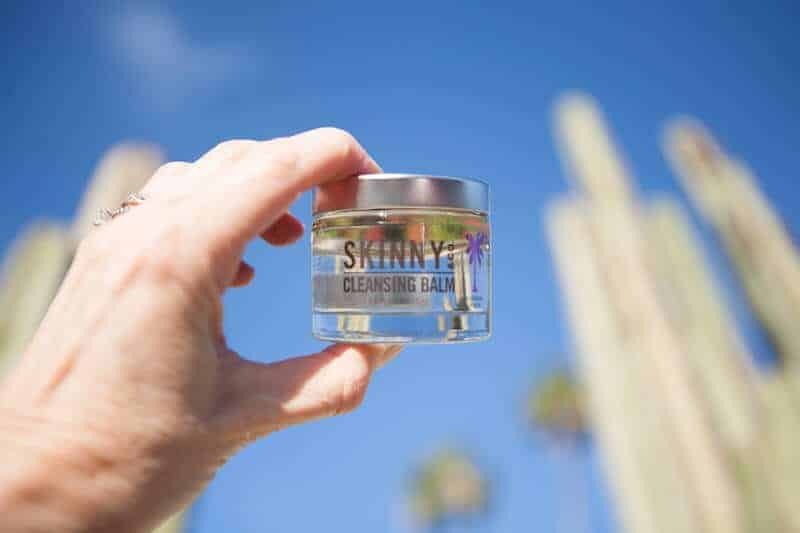 Want to give Skinny & Co coconut oil a try? 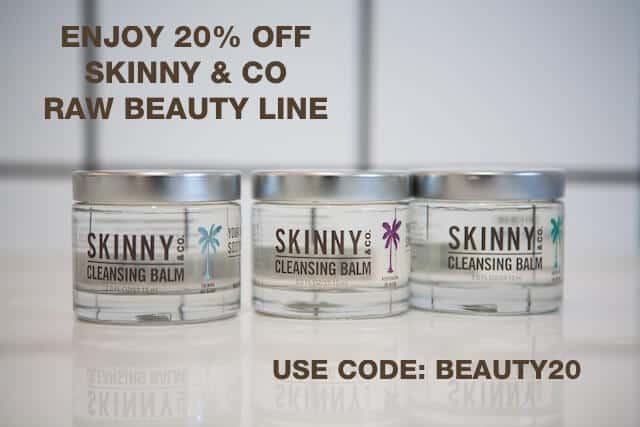 Use code SKINNY2018 at checkout and enjoy a 25% savings! Promo code is good through December 31, 2018. —–> Shop Skinny & Co now. I’m wondering how many fellow coconut oil fans I have out there? Hi Kristy. That’s a great article. it can be said that coconut oil has multipurpose. I agree that coconut oil is good for skin care because it consists of Vitamin E. I still use coconut oil but the supply of Vitamin E is needed more when I’m older so I also find some pure or more Vitamin E example here http://www.womensedge.org/best-vitamin-e-oils/. I found a positive result in my daily skin care, it also adds radiance to my skin, boosts collagen production in the body, and get flawless skin.By the way, I agree with you Coconut oil benefits. I love your article and please keep sharing. We love coconut oil , we also use it in our toothpaste or swish ish to brighten out teeth too .. Makes wonderful brownies and pie crust also .. Makes baking very fluffy .. Yummy !!! Oil pulling! I’m a huge fan. I do it atleast once a day and have naturally whitened my teeth and have better dental and overall health as well. Thank you, Chelsea, I’ll have to give it a try! Coconut is so amazing! I love this stuff! Nice article! Didn’t know coconut oil good for candida yeast. I use coconut oil for oil-pulling and make snackie for kids. Made homemade pancake using coconut oil on low heat…oh I put coconut oil in my hard herbal salve to soften it… Well I end up putting it in the refrigerator to keep the salve firm. So many great ways to use this stuff! Thanks for sharing your ideas, Monica! I’m a huuuuuge organic virgin coconut oil fan!!!! It’s awesome for everything in my opinion. I’m pinning this! Thanks! Um, can I just say… you had me at #1. By the time I got to #10, I’d decided to seriously step up the coconut oil in my families diet as well because we could all use each of the benefits you listed. Now I just need to come up with a good plan on what foods to use it in because I’m with you, I don’t think I can swallow it off the spoon. I recently saw someone who used it in their homemade coffee. I think it’s in the BHS video post on Father’s Day gift ideas for dad. 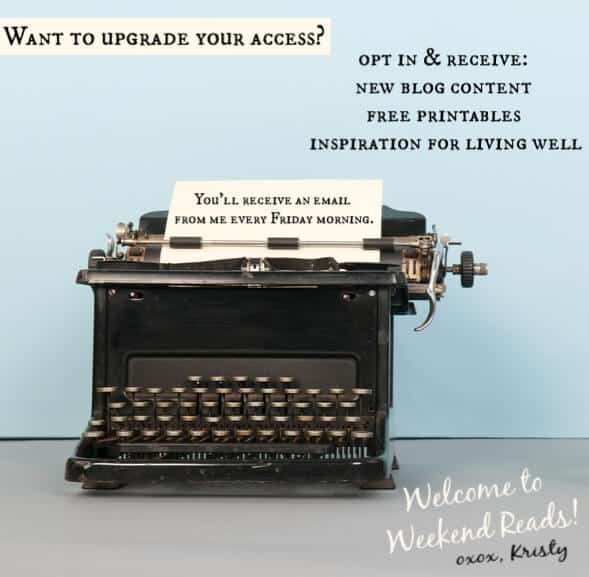 Anyway, GREAT article Kristy! I’m definitely sharing this one!